In wind energy, like in many other sectors, the next wave of innovation is being driven by sensors and data. We spoke with the young, Munich-based high-tech company fos4X, which is delivering the basis for that development with its “rotor blade sensing” technology and software. Digitization of the energy sector is progressing rapidly. The demand for clean energy will certainly continue to show strong growth, particularly due to electromobility. 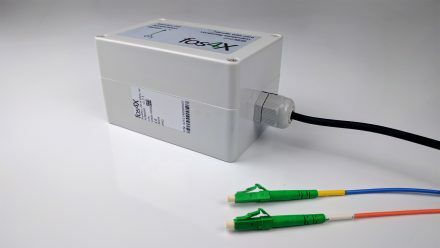 fos4X aims to play a role in the transition by offering solutions from the field of fiber optic measurement technology. In the wind energy sector, the classic methods of reducing costs and improving efficiency to optimize yields have been largely exhausted. Although sensor technology is already used in wind power systems, the placement of sensors where the wind actually hits the system is rarely used as a standard. “In just a few years, we expect to see every new rotor blade equipped with an array of sensors straight off the production line. The market is dynamic on its own, and this is an extremely dynamic niche. Due to lightning strikes and high mechanical stress, it is a difficult technological task to retrieve information directly from a rotor blade, which is where the stress occurs. 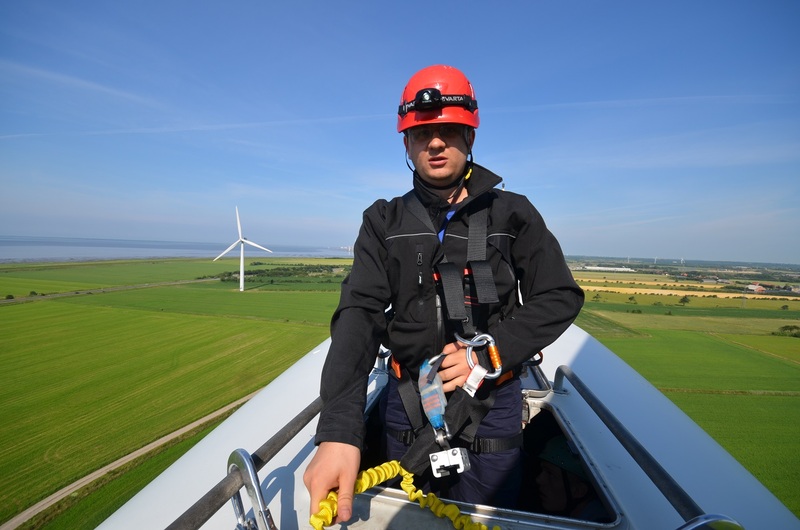 It is even more difficult to provide reliable and precise measurements for the total service life of a wind power system, which can amount to over 20 years. The founder expects his company to be one of the major players in this niche because fos4X offers cost-effective and reliable solutions to these technical challenges. In addition to sensors – the hardware – the Munich-based tech company also provides edge computing software. The data is evaluated based on algorithms, which analyze the data recorded on the system itself, generate information and create instructions that then operate the system. The company’s location south of the Brudermühlstraße boasts a generous courtyard where the developers are able to directly test the rotor blade vibration behavior and the company’s sensor technology. The lab where the sensors are prepared for wind power systems is just next door, as is the company warehouse, which is the starting point for the sensors to be sent all over the world. Is Munich such a convenient location for a company in the wind energy sector? Although fos4X does not have a single customer located in Munich, the company is able to quickly reach their customers in Hamburg, China or North America. An excellent service provider system guarantees that their customers receive assistance quickly. In Germany, the successful startup will have its products in serial production with all three wind power system manufacturers by the end of 2017, and the major international system manufacturers are set to follow in 2018. It looks like everything is feasible with Munich as their home base. Their suppliers are nearby as well, and Munich also offers a large talent pool of highly skilled engineers from which the company has hired a number of excellent employees. Last but not least, the funding landscape in Munich is exceptional, which is something fox4X has also greatly benefitted from. The founder team had already started researching back in 2005 at the Technical University of Munich at the Institute for Measurement Systems and Sensor Technology in the field of optical measurement technology. 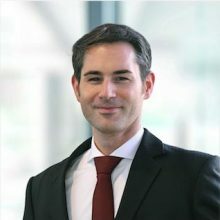 After obtaining his doctorate, Lars Hoffman worked for a consulting firm, but returned to the team in 2010 for the spin-off. The startup was initially funded by the Exist Transfer of Research. In 2012, the startup really began to pick up speed. It was at this point that the company received the necessary seed financing of 800,000 euros from the High-Tech Gründerfonds (HTGF), Bayern Kapital, Unternehmertum Venture Capital Partners and business angels. The founders were a team of four in the beginning, with two more technically oriented founders, a computer scientist, and Lars Hoffman, who had studied business administration. The founders developed their product along with the market, step by step. The same gradual approach was taken for a new round of financing: the second round, amounting to 1.4 million euros, was completed mid-2013 with Unternehmertum Venture Capital Partners as the main investor. Two years later in 2015, another round brought a total of 2.7 million euros with Falk Strascheg Holding GmbH as one of the major investors. The financing rounds were major milestones for the startup. They not only allowed the company to tap into the market, but also helped to advance product innovation while simultaneously expanding business operations. Everything has been a success. In 2016, the company’s annual turnover amounted to 3.1 million euros, with the startup doubling their turnover each year. That meant building the first prototypes, eliminating the technology risk, getting to know the market, targeting customers and also understanding and answering customer needs. But when it was time to actually work in operational terms, the first founder left the team. The two other co-founders left last year to take advantage of their strengths, which they see in the early stages of an enterprise, and founded a new company together. The young entrepreneur’s story sounds convincing. The amount of innovation delivered by the company is demonstrated by more than 80 registered patents. More than 20 of those patents have also been issued. On average, the company applies for one patent each month. In-house innovation workshops are held to share discoveries in every area – in hardware, software and service. Lars Hoffmann is proud of the culture of discovery in his company. There is also a method behind it all. Patents strengthen their position in their niche, while also allowing the company to position itself in relation to the major market players and also for a potential exit. That time has not yet come, though. For this year, the company is aiming for neutral cash flow. And from that beneficial position, the young entrepreneur could imagine receiving additional funds for financing growth. After all, tapping into the wind energy market is not the only objective. Hoffmann explained that fiber optic measurement technology will be able to offer advantages compared to conventional electric sensors in any application where magnetic fields, great distances or high voltages and currents play a role. Already this year, the successful young company will be able to use its technology in electromobility for the first time. We are looking forward to seeing where the company is headed. One thing is certain: the founder of fos4X and his 50 employees will have plenty to keep them busy.